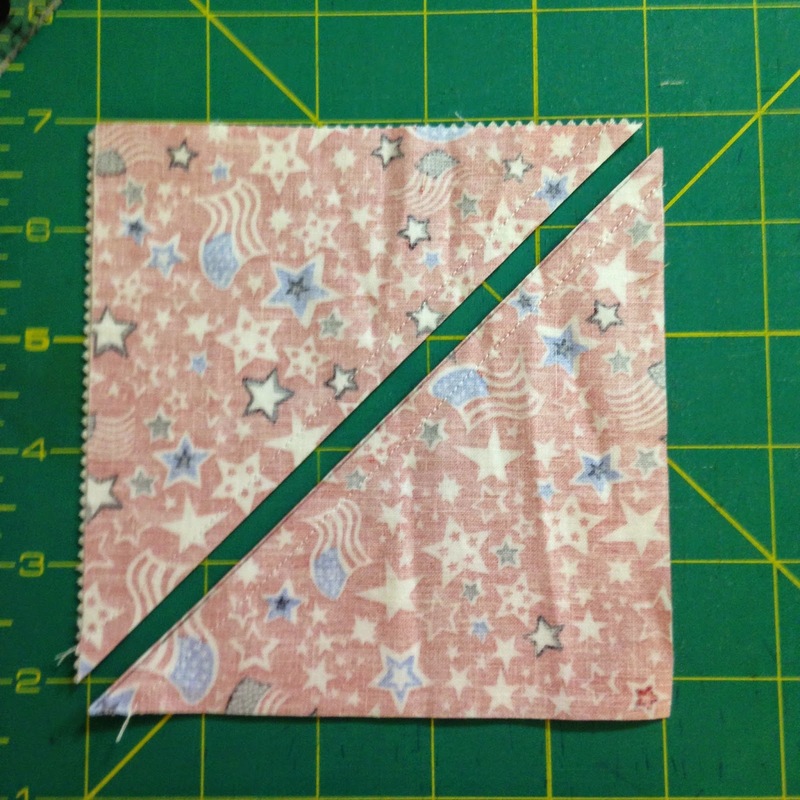 Last week on Tips, Tricks, and Tuts Tuesday we made 4 patch units out of charms (5" squares). 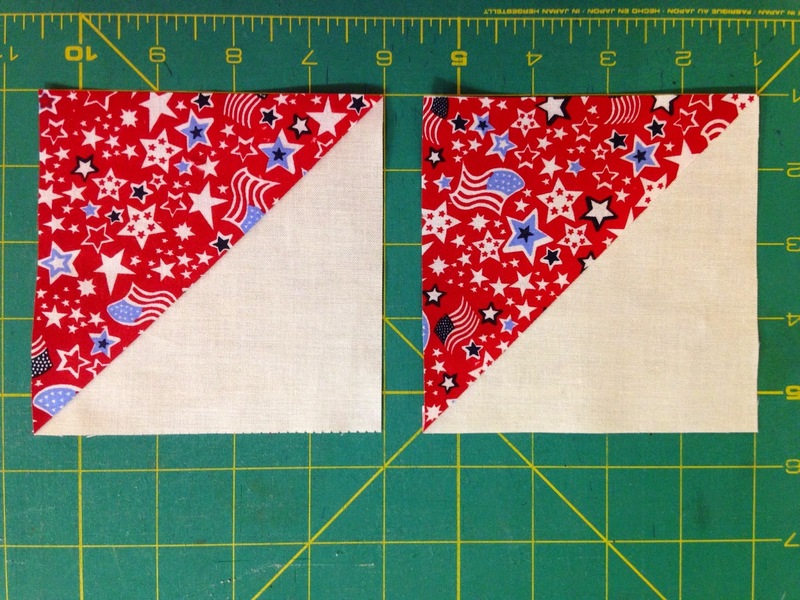 In keeping with that, this week we're making Half Square Triangles out of charm squares. 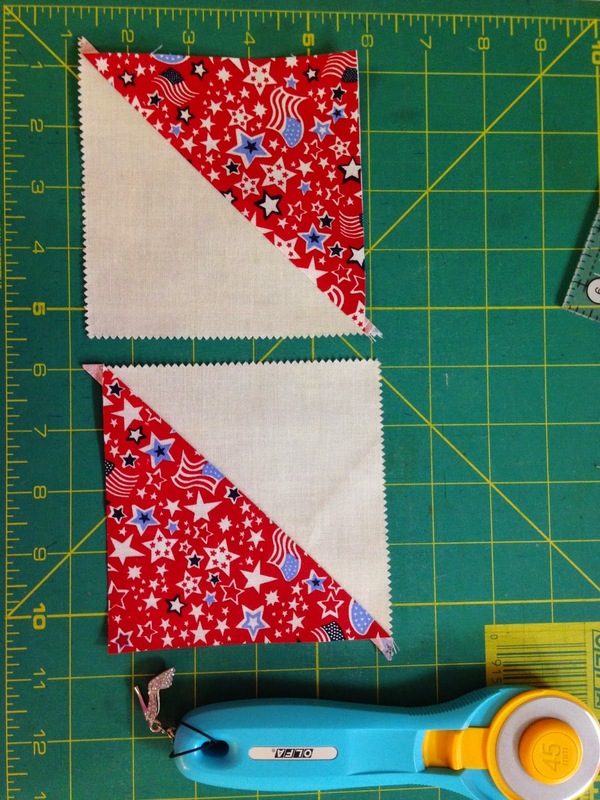 Now I know you probably already know how to make half square triangles. We've made them before on here. But to make it easier so you don't have to go searching for previous posts. I'll show them to you again. 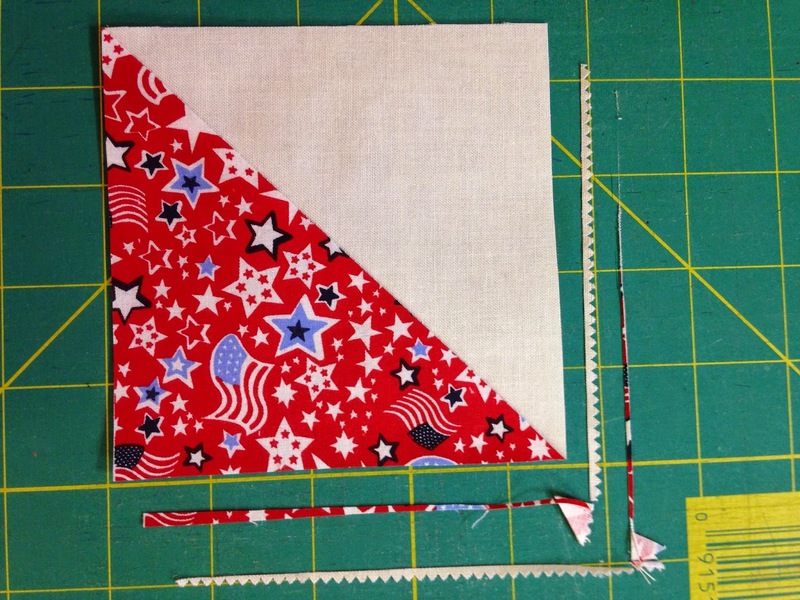 Begin by pairing two 5" charm squares right sides together. Draw a diagonal line across the lightest one. 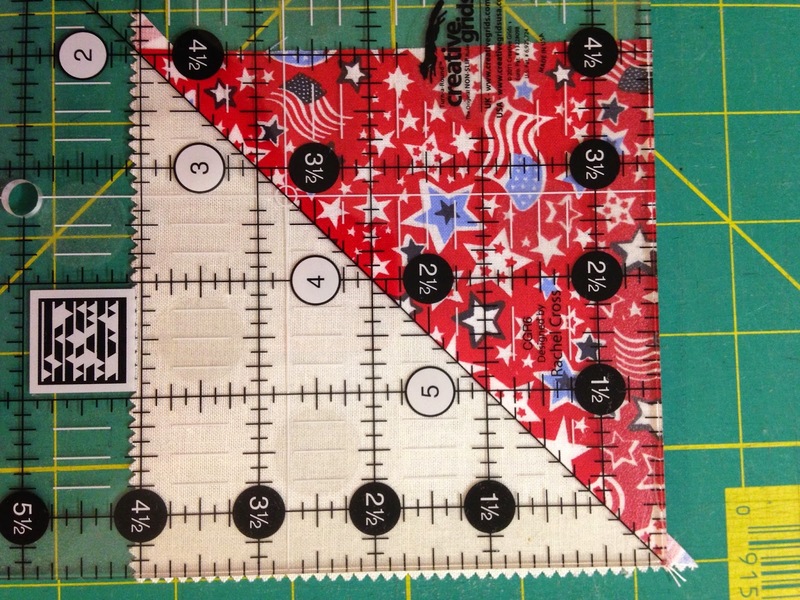 Sew 1/4" from the drawn diagonal line on each side of the drawn line. Then cut apart on the drawn line. 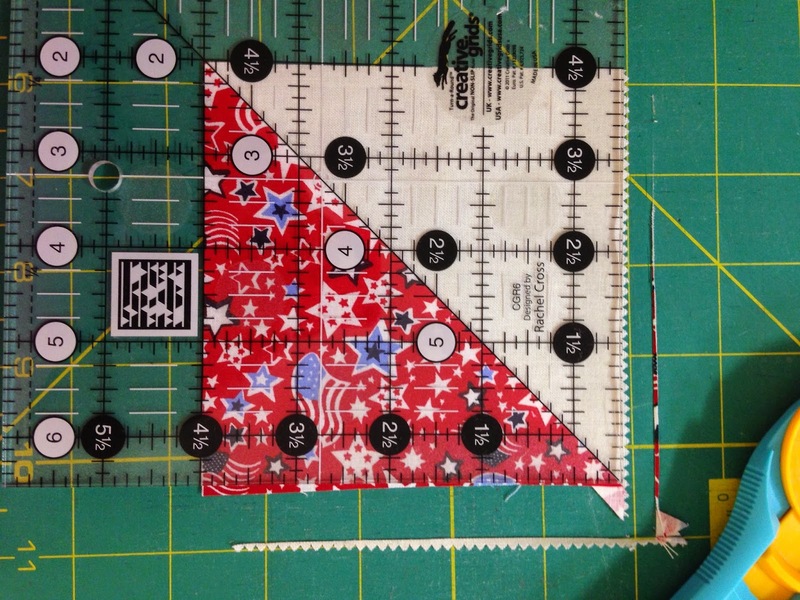 Press the seam allowance to the dark fabric on each half square triangle. You will have 2 half square triangle units. 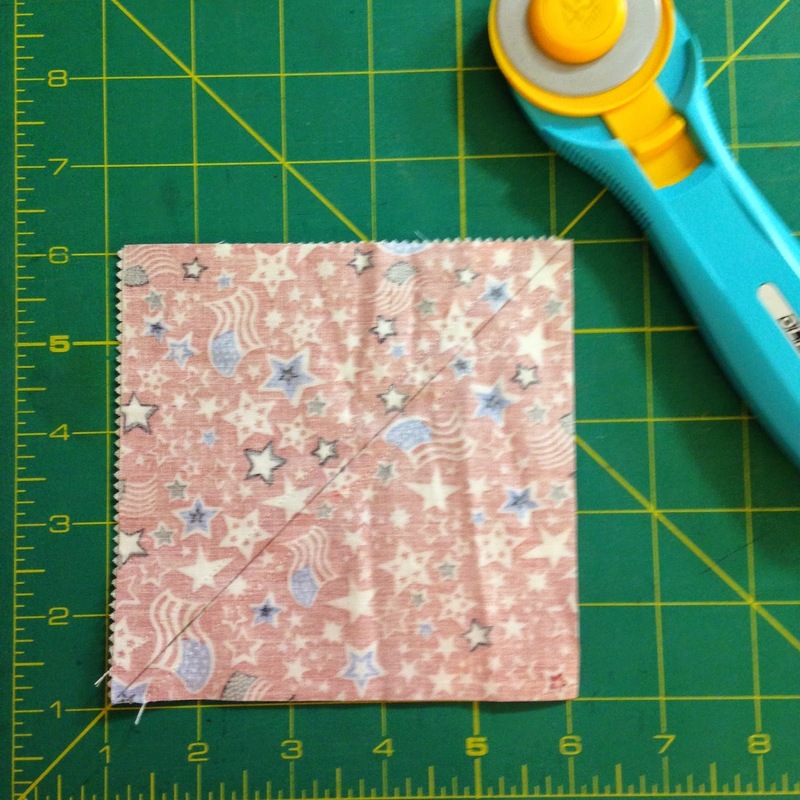 They are really no different whether you make them from a 5" charm square or you make them from any other size square. The technique is the same. 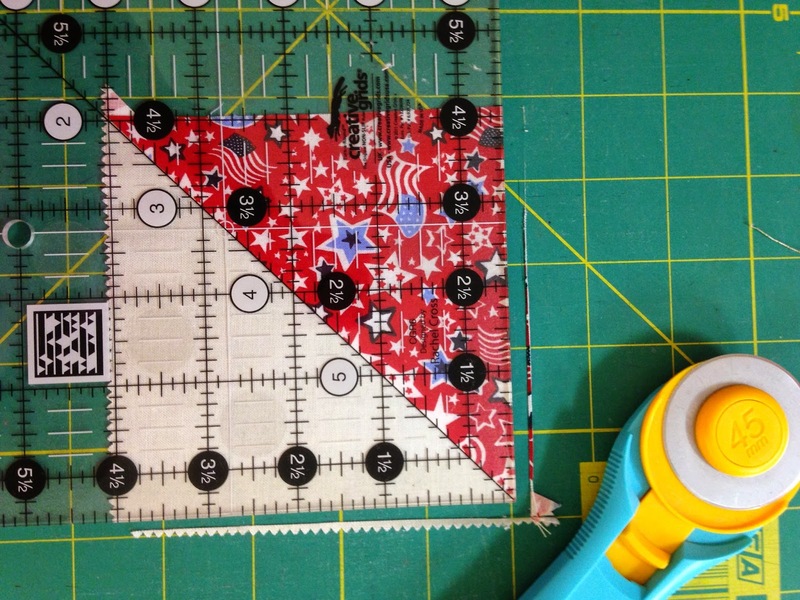 The end result in this case is a 4 1/2" half square triangle that will pair up easily with the 4 1/2" 4-patch units you learned about last week. What block will you make with them. Thanks for your ideas. I appreciated your post and thank you so much.